To live well while staying true to yourself, Ken Honda writes that you need not only knowledge of money, but also the flexibility to think clearly from the heart. As parents, how can we teach that to our children? According to this book, the parents’ relationship with money will ultimately determine the child’s future, and happiness in life comes from a healthy balance of Money IQ－practical knowledge and wisdom－and Money EQ－your emotional intelligence about money. Parents who read this book will feel encouraged by its uplifting message. After finishing the last page, you may feel as if you’ve just taken a vacation, for learning about money forces us to look back over our lives. Reading this book together with your children is the perfect opportunity to talk about money. In the midst of that conversation, parents may end up reflecting on their relationship with money, too. Money controls 98% of our life. It affects how we live more than most people realize. The state of your personal finances determines everyday things, like your daily shopping list, clothes and belongings, or even trips to your favorite restaurant. In a larger sense, it also affects the acquaintances and friends you choose to meet, your spouse, your children’s education, and a whole range of things. For many people, money sets heavy limitations on how we live. People without financial freedom spend the majority of their lives working to make ends meet, paycheck to paycheck, without ever discovering their true potential. What is money, anyway? Why does it have such a strong hold on our lives? How can we better use money to our advantage? The author has spent many years researching the intersections of money and life; his explanations are so easy to understand that a teenager could enjoy reading this book. In these pages you will be prompted to examine your values, your outlook on life, and even your parents’ and grandparents’ attitudes toward money more thoroughly than you have before. Hopefully you learn to have a more relaxed approach to your own relationship with money. Introducing the “new common sense” for financial survival in these unstable times. 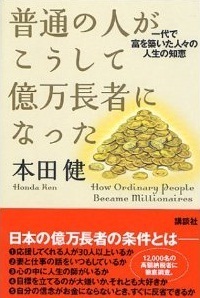 Although Ken Honda is now well-known as a best-selling author, he gained his expertise on money long before that. In this book he has combined over 40 years of research and business experience of owning a management consulting company, accounting firm, and venture capital corporation, and will teach you everything he has learned about money. This book is full of hints to give you concrete advice on how to be free from be worry about money in the future and become reasonably wealthy, such as: “Don't run away from money.” “Understand the essence of money.” “Reflect on your parents' relationship with money” “Examine your own beliefs about money.” “What is the right way to earn or receive money?” “Don't penny-pinch; Use money in a healthy way.” “Understand the difference between assets and liabilities.” “Manage more than one bank account.” These are just a few of the 17 lessons about money that can help you live happily even during this financially unstable time. This book is for everyone, regardless of occupation or age, who desires the essential information and healthy money mentality necessary to live free from financial burden. "22 Messages that attract money into your life simply by reading them." Don't be fooled by this warm, fuzzy title. While the book itself is written in a pleasant, friendly way, the content is quite concrete and practical, and looking at reality straight on can be a shock to the system. However, as you begin to read you may realize that many of the things you once thought were impossible can actually be achieved. If you read a little more, you may find that your hardened ideas about money change drastically. 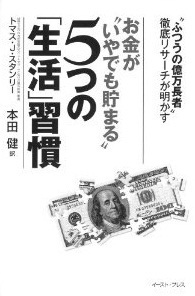 As the title promises, just by reading this book, you will feel a deeper understanding of money and your relationship with money will become more fun. This incredibly unique book will warm your heart while teaching real, practical information about money and life. Money determines 98% of our life. It affects our lives more than most people realize. The state of your personal finances determines the details of everyday things like what's on your shopping list, what you wear, or where you might go out to dinner. In another sense, it also affects your choice of acquaintances and friends, your spouse, your children’s education, and a wide range of things we easily take for granted. For many people, money sets heavy limitations on how we live. People without financial freedom spend the majority of their lives working paycheck to paycheck to make ends meet, without ever developing their true potential. What is money, anyway? Why does it have such a strong hold over our lives? How can we better use money to our advantage? 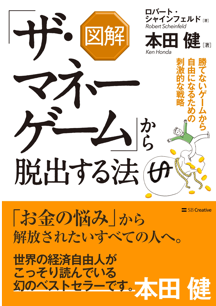 Ken Honda has spent many years researching how money and life interact, yet his writing style is so approachable and easy to understand that even younger readers can enjoy reading this book. You will feel encouraged to examine your values, your outlook on life, and even your parents’ and grandparents’ attitudes toward money more thoroughly than you ever have before. Hopefully you learn to have a more relaxed and rewarding relationship with money. Live life to the fullest by building a career where you can do what you love! What are the prerequisites for succeeding in a business where you do what you love and share a life filled with love and support from those around you? Ken Honda’s definition of a financially free person is someone who has an annual income of at least $300,000 and assets of $1,000,000. He also says that having your own business is central to living a life of happy prosperity and financial freedom. In order to become someone who doesn’t get thrown around by your own money, you don’t need a business that runs on conflict －you need to aim for a business that allows for the special kind of growth that comes from spreading love. “Preparing to Take the First Step.” “8 Habits of People with Financial Freedom.” “7 Strategies for Business Success.” “The Life and Business Philosophy of Financially Free People.” These are just a few of the skills and know-how that allow for financial freedom within this book. It’s an essential volume for anyone who wants to learn what it takes to achieve happiness and financial freedom. When kids reach about 15 years old, they begin to emotionally separate from their parents and grow more independent. 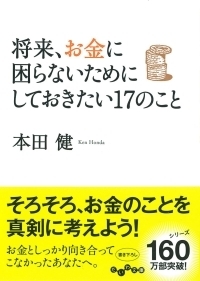 Therefore, Ken Honda recommends that you make the most of the precious, short amount of time that you spend together. As a parent, you may panic and think to yourself, “What could I possibly do in those short, important moments?” There is nothing to worry about. Ken wrote Part One of this book as an explanation for adults, and Part Two is dedicated to what we can teach our children, including ideas on how we can spend that precious time with our kids. This book helps parents face their own lives while raising children to be happy and prosperous. It all starts with you! 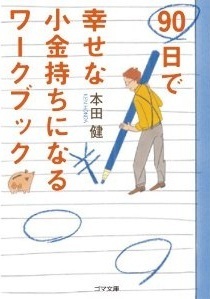 The theme of attaining both happiness and wealth through doing what you love is woven throughout the book. It also introduces essential business know-how along with how to find your gifts and how to transform doing what you love into money. 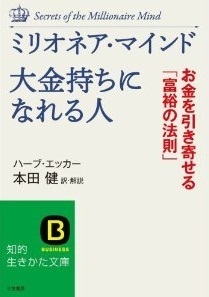 For anyone who doesn't yet know what it is you really love or how to transform that into a career, just complete the self-tests and mini activities in this book and you will begin to see the outline of your lifework. In order to become wealthy doing what you love, you must discover both the source of your happiness and a source of financial abundance. Glancing through the pages of this book will help you see the incredible possibilities bubbling up inside your heart so you can create a beautiful future for yourself. In the society we live in, money influences our lives in many ways. To become financially independent and not be controlled by money, you must learn more about money itself. No matter what century you live in, what country you’re from, or what career you’ve chosen, it is possible to learn the laws of how money works and live in financial freedom. These are just a few of the 60 habits that open the door to happy prosperity. This is an essential “money textbook” that teaches how to apply the laws of money to anyone hoping to finally attain real financial freedom. What comes to mind when you hear the word “billionaire”? 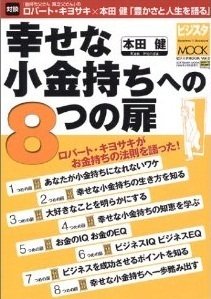 This book presents the answers to a survey given to about 1000 multimillionaires. Once you are acquainted with how real billionaires think, you might be quite surprised at how vague or off the mark your image of them is. For instance, the average person might assume that the essentials for success include finding business opportunities, making sales, and being assertive. However, the millionaires and billionaires who were quizzed in this survey offered completely different answers. The truth is far simpler than you may have thought. People who become billionaires aren’t that different from the average person. Simply by changing your perspective, thoughts, and patterns of behavior even just a little, anyone can do it. It’s curious how as you read through the survey results and listen to the voices of these multimillionaires, you start to realize that you can do it, too. 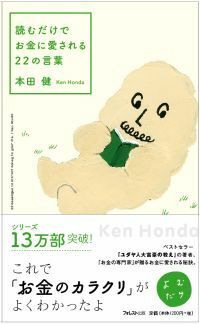 To live in happy prosperity, Ken Honda says that making decisions and taking action are both very important abilities. Just like training at the gym, when you work out a little bit each and every day, over time your decision-making and action-taking skills improve dramatically. This book has collected 90 days’ worth of daily exercises to help lead you to experience happiness and prosperity for yourself. “If you change your inner perspective, in time, your reality will naturally evolve to match it.” When you pick up this book for the first time, you may experience a little doubt. But why don’t you try it out for yourself and observe first-hand how much your world can change in just 90 days? A guidebook to true happiness and prosperity. 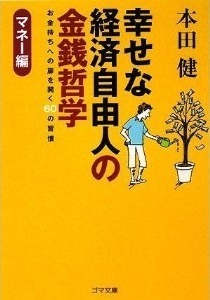 Glancing at the Japanese title of this book, “8 Steps to Being Happy & Slightly Wealthy” (direct translation), the first thing most people think is “Why just slightly wealthy? Why not a ‘lot’?” Well, it’s surprisingly comfortable to be just slightly well-off. To put it frankly, in addition to being quite a challenge to go from zero to billionaire, it also requires pouring an unforgivingly large amount of time and hard work into your job. This prevents you from spending time with your family and involves more than its fair share of stress. Some people even lose the ability to enjoy the lifestyle they worked so hard for. So, the idea of “being happy and slightly wealthy” may not seem as appealing as “mega-millionaire,” but the happy, slightly wealthy person enjoys a much happier life through prioritizing their loved ones and free time. 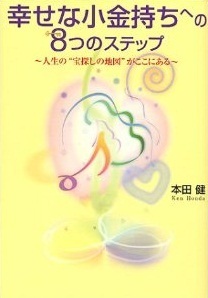 This book acts as a treasure map to happy prosperity. It analyzes the various reasons most people don’t seem to have much luck with money and introduces 8 steps to happiness and prosperity that we all need to hear. If you take action after reading this book, a fantastic future like you’ve never imagined may be waiting for you right around the corner. Take the first step to happiness and prosperity! The mechanisms behind living a happy, prosperous life have now been divided and introduced in 8 parts. “8 Steps to Happy Prosperity,” “Money IQ and Money EQ,” “Living Richly: Manifesting Abundance through your Lifework,” and “Do What You Love” have come together in an easy to understand digest edition. 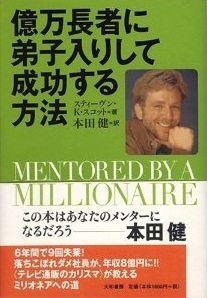 Several additional units explain how to start increasing your wealth and happiness, including “Reasons You Think You Can’t Get Rich,” “Discover What You Love To Do,” “Money IQ and Money EQ,” and “Essentials for Moving Forward with Your Business Model.” An interview on living in true prosperity with Robert Kiyosaki, the author of “Rich Dad, Poor Dad,” is also included in this collection. Case studies and statistics behind the 5 wealthiest tax-payers are included as a bonus, filling this book with the wisdom and knowledge necessary to understand the world of rich, happy people who have already achieved success. This is a wonderful special edition that will guide you to the same path to happiness and prosperity that financial experts have used in the shortest route possible. A guidebook to happiness and prosperity. 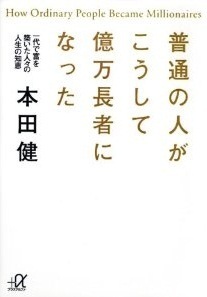 Glancing at the Japanese title of this book, “Happy, Slightly Wealthy People,” the first thing most people think is “Why just ‘slightly’ wealthy? Why not a ‘lot’?” Well, it’s surprisingly much more cost effective to be just a little bit wealthy. In addition to being quite a challenging feat to go from zero to billionaire, it also requires pouring an unforgivingly large amount of time and hard work into your job. This prevents you from spending time with your family and involves more than its fair share of stress. Some people even lose the ability to enjoy the lifestyle they worked so hard for. So, “being happy and a ‘little’ bit wealthy” may not grab you quite as quickly as the word “mega-millionaire,” but this type of person enjoys a much happier life of prioritizing their loved ones and private time. 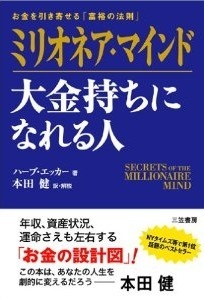 This book acts as a treasure map to happy prosperity. It analyzes the reasons you and most people don’t seem to have much luck with money and introduces 8 steps to happiness and prosperity that we all need to hear. If you take action after reading this book, a fantastic future like you’ve never imagined may be waiting for you right around the corner.